A semi-permeable pavement was built with a coating layer of soil-cement blocks made of construction debris (stabilized with 30% sand) and cement (20% of the mix), and manufactured with a press. This type of block does not rely on additional studies dealing with changes in the mechanical properties over time; so, for this study, a certain number of blocks were selected (7, 14, 28, 130 and 1650 molding days) to measure the mechanical properties (durability, water absorption and simple compressive strength). The results showed no changes in the blocks’ absorption and durability properties after 1650 days. The compressive strength had a slight increase of 9MPa (28 molding days) for 12MPa (1650 molding days, blocks of the pavement in use), which can be attributed to reactions still occurring between cement, soil and water or to the variability of raw materials and the equipment used. It can be concluded that the environmental conditions and light pedestrian traffic did not affect the blocks’ mechanical properties; therefore, they can be used in semi-permeable pavement. Soil-cement is the result of mixing soil, Portland cement and water, which, compacted to high density in an optimal humidity percentage, gains strength and durability through the cement’s hydration reactions. Since 1936 (when it was regulated by the Associação Brasileira de Cimento Portland  ABCP), it has been widely used for making road bases and subbases, and also in construction components. It was used in the Brazilian construction in 1948, when large houses made of monolithic walls were built in the Hacienda Inglesa, in Petropolis (Rio de Janeiro). In the following year, the famous Adriano Jorge Hospital, from the National Tuberculosis Service in Manaus, was built; the building has 10.800 m2 and it is still operating and in a good state of preservation (Téchne, 2004). Currently, the shortage of raw materials and the increasing demand for ecologically adequate materials, strengthen the use of soil-cement in the construction of roads and masonry. The manufacturing process of the blocks consumes less energy in the molding procedure, because it uses a press, and the mixture requires less amount of cement. Compared with conventional blocks (ceramic blocks), soil-cement blocks contribute to reduce the emission of toxic gases like CH4 (methane), CO2 (carbon dioxide) and CO (carbon monoxide), due to the elimination of the burning process. Additionally, they offer increased permeability when used as pavement coating, compared with asphalt and concrete overlays (Grande, 2003; Souza et al., 2008). Costs at the working site can be reduced by 30% to 40% when using soil-cement blocks, mainly due to the lesser amount of waste materials and lower hauling costs; blocks can be manufactured in quarries in place (Penteado and Marinho, 2012). Certain factors may difficult or even prevent the use of soil-cement, when the soil composition in general presents a wide variety of components, since this material comes from the stone transformation process and contains humus, chlorides, sulfates and harmful substances. Thus, rectifications and proportioning are necessary, which increase the production cost, because it requires qualified staff and permanent analysis of the material (Téchne, 2004). Sandier soils work better in soil-cement mixes, since they are stabilized with less amount of cement; the soil must contain clay, since it directly influences the composition of the blocks, providing a better adhesion (cohesion) among the particles of the materials of the mix, thereby preventing the loss of strength due to weathering conditions after molding. There are examples of soil-cement studies dealing with: manufacture with resins (Estebragh, 2011); manufacture of soil-cement blocks with added sugarcane bagasse ash (Ferrari et al., 2014); structural behavior (Tennant et al., 2013); and the effect of moisture in the pavement base and subbase (Cancian, 2013). Other studies address its use with contaminated soil (Rojas et al., 2008). The application of soil-cement blocks as coating layer for light-traffic pavements is described by Marchioni and Silva (2010), but there are no further studies concerning the evaluation of mechanical properties (durability, water absorption and compressive strength) throughout their service life. The soil-cement blocks were produced with construction debris from the Channel works in the Jorge Amado avenue, in the neighborhood of Imbuí, Salvador, Bahia. Following soil geotechnical surveys (granulometric analysis, NBR 7181), liquidity limit (NBR 6459), specific mass of grains (NBR 6508), the soil was rectified by incorporating 30% of fine sand from construction works, with the purpose of adjusting it to the A4 classification of the Highway Research Board (HRB), in accordance with the American Association of State Highway Officials (AASHTO). The stabilized soil was used to produce soil-cement mixes with cement percentages of 8%, 10%, 12% and 20% in relation to the dry mass of rectified soil, NBR 12253. 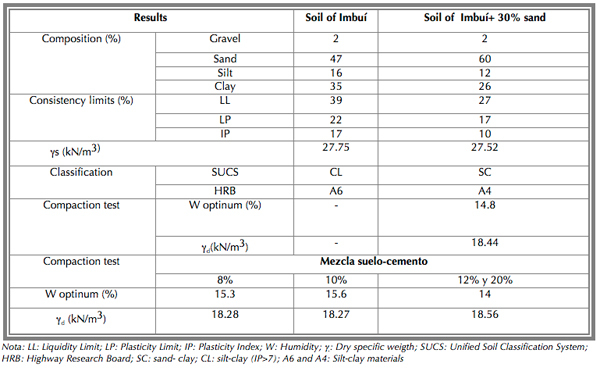 Table 1 shows the results of the characterization tests, soil compaction tests (NBR 7182), of the soil stabilized with 30% sand, as well as the compaction results for soil-cement mixtures. The blocks were built by manually mixing the right quantities of stabilized soil, cement and water. The material was conducted to its complete homogenization, which was identified when the mix achieved a uniform coloring. The specified water quantity to obtain the optimal humidity was added a few minutes later with a test tube. In the sequence, the ball test is made by squeezing the mix with the hand and observing the mark left by the fingers, then the mass is dropped from a height of approximately one meter onto a hard surface and it is expected to dissolve when hitting the surface, otherwise the mass is too moist (CEPED, 1984). After wetting, the mass was passed through a 2mm sieve, with the aim of dissolving the clods and increasing the homogeneity of the material. The blocks were molded with a manual compaction press (VIMAQ V2), with dimensions of 12.5 cm x 25 cm x 6.25 cm (width x length x height); afterwards, they were placed on a flat surface in the shadow at a 0.5 m height approx. and subjected to curing for seven days (Figure 3). The blocks were subjected to tests for compressive strength, water absorption and durability (wetting and drying), detailed in points 2.2.1 to 2.2.3, which allowed verifying that the mix with 20% cement in the mass presented better conditions to be applied on the pavement, because it showed higher strength (approx. 10.61 MPa at 28 days), despite the fact that this value is below the recommended value for light-traffic concrete block pavements (35 MPa). This mix also presented the lowest water absorption rate (15%) and lowest mass loss rate when brushed with a wire brush. Because there are no reference parameters available regarding the performance of soil-cement blocks in the basket weave pavement configuration, a path was built with soil-cement blocks (20% proportioning) in the Campus of the Catholic University of Salvador (UCSAL), in the State of Bahia in Brazil, which was monitored in order to evaluate over time the blocks’ mechanical performance and their efficiency as semi-permeable pavement in the reduction of surface runoff. The blocks’ molding for the construction of the path (more than 2000 blocks) followed the same manufacturing process of that used to specify the proportioning of cement in the laboratory. However, the manual homogenization was replaced by a drum mixer, which allowed working with a greater amount of mass, but determined an additional 3% of water in relation to the optimal humidity obtained in the compaction test, since the homogenization process in the mixer took longer and the soil tended to dry. For controlling the manufacturing process, a batch of blocks was removed every 500 blocks, more or less, making a total of four batches, identified as batch 1, batch 2, batch 3 and batch 4. A certain number of blocks at 130-day molding, average time corresponding to the starting date of the path construction, were removed and labeled as batch 5. Then, the tests of compressive strength, water absorption and durability were carried out in all the batches described (the same tests used previously to define the proportioning of cement). The productivity of the service was around 50 blocks per day; a team of 4 people took approximately 60 days to finish the work. The compressive strength tests were carried out according to the Brazilian standards NBR 8492 and NBR 9781, with blocks of different ages after molding. The blocks were immersed in water for 6 hours and then they were superficially dried with an absorbent cloth. The testing surface of the samples refers to the width of 12.5 cm and length of 25 cm, due to the settling and contact position in the pavement (Figure 4). The blocks molded in the manual press come out with regular sides; therefore, no capping of the samples was needed for the rupture test. The rupture test was made in a compression press using 6 to 9 blocks for each age (7, 14, 28, 100 days and 4.5 years). The water absorption test complies with the Brazilian standard NBR 8492 (Soil-cement Bricks  Determination of Water Absorption) and it was performed on three samples in order to identify the average water absorption of the blocks subjected to saturation. After a 7-day curing, the three samples were weighed and put in the oven until they did not show any mass differences. According to NBR 9781 (Concrete Paving Units  Specification), the samples achieve a constant mass when the difference between the masses is not higher than 0.5% regarding the last registered value. After taking the samples out the oven, they were immersed in a tank with water for 24 hours, then removed from the water and superficially dried with a slightly wet cloth, weighed (before 3 minutes have passed), thereby determining how much water was absorbed by the blocks. The following equipment was used in the tests: scale with capacity of 10 kg and resolution of 1 g; a tank for immersing the samples in water at room temperature; an oven capable of keeping the temperature between 105°C and 110°C; an oven capable of keeping the temperature between 71 ± 2°C; a brush with steel plate bristles of the type SAE 1020 No 26, of 50.8 mm length by 1.6 mm width, gathered in 50 groups of 10 bristles each and assembled in 5 lengthwise rows and 10 crosswise rows, on a hard wood block of 190 mm by 65 mm (Figure 5a), and a Vernier caliper for measurements. • Immersion in the water of the three samples for 5 hours, at the end of which they were taken out of the tank and dried with a wet cloth. Block no. 1 was weighed and its volume was measured, while blocks no. 2 and no. 3 were just weighed. • The three blocks were kept in an oven at a temperature of 71±2°C for 42 hours; afterwards, block no. 1 was weighed and its volume was measured, while blocks no. 2 and no. 3 were just weighed. • Blocks no. 2 and no. 3 were brushed within an hour, then dried in the oven. The NBR 13554 standard refers to the brushing process with intensity of 15 N on the surface of a cylindrical sample. It states that the lateral surface requires 18 to 20 vertical brushings, with the brush placed with its lengthwise axis parallel to the lengthwise axis of the body of the sample. Each base is brushed four times, two in one sense and the other two in the sense crosswise to the previous ones. Since the tested blocks had a rectangular parallelepiped shape, instead of a cylindrical one, the standard was adjusted so that the number of brushings was proportional to each side of the block. Thus, each supporting side of the block was brushed eight times, since these sides (12 cm x 25 cm) suffer direct load on the pavement, Figure 5b. The lateral sides (6.5 cm x 25 cm) were brushed twice on each side, and the end sides (12 cm x 6.5 cm) were brushed four times on each side; the standard requirement of brushing twice in one sense and twice in the other, was respected. The brushing and cooling of the blocks must be done within one hour. • The duration of each wetting and drying cycle was 48 hours and this procedure was repeated five additional times. • After the sixth cycle, the three blocks were put in the oven at a temperature between 105°C and 110°C, until they reached a constant mass. The values of mass and volume obtained during the six cycles allowed calculating the variation of volume and humidity of block no. 1 and the mass loss of blocks no. 2 and no. 3, in order to evaluate the durability of the soil-cement mixtures. In the parking lot of UCSAL, Campus of Pituaçu, a pavement was built with a layer of soil-cement blocks, which were 20.70 m long, 3 m wide and had a land slope of 6%. Geotechnical surveys from two samples collected from boreholes drilled 3 m deep, showed that local soil is classified as sandy-silty clay with traces of gravel (4% gravel, 32% sand, 18% silt and 46% clay); the average specific weight of grain particles is 29.13 kN/m3, LL=54%, LP=28% and IP=26%. The classification results point at a rather clayey soil with high plasticity index and a permeability coefficient of 10-5 cm/sec obtained through testing with the Guelph Permeameter. Despite the steep slope and the relatively low permeability coefficient, this area was used due to the impossibility of using another site in the campus (Brandão, 2009). The blocks were installed and distributed within a lateral confinement using edge courses and concrete beams (3 m long and 15 cm wide and high) placed transversally every 3 meters approximately, to prevent blocks from sliding down (Marchioni et al., 2010). Figure 6a shows the construction process on site, and details the basket weave distribution of the block and the installation of the edge courses and transversal beams. The blocks were laid in headers, in a basket weave configuration, on a sand bed of 5.3 cm thick, which served as a small water reservoir (Figure 6b). The sand bed had a porosity of approx. 46% that allowed a water storage volume of approximately 1500 liters. The joints of the blocks were filled with fine sand, which allowed the water to percolate to the sand bed through the joints. In order to evaluate the behavior of the blocks in the long-term, after 1640 days (4.5 years) of their manufacture and exposure to weathering agents, 20 blocks were removed at random from the pavement, Figure 7. The removed blocks became the study’s batch no. 6, from which 14 blocks were subjected to the compressive strength test, 3 blocks were used for the absorption test and 3 were used for the durability test. The removed blocks were replaced by new soil-cement blocks and marked with an "X" so that they are not removed again, Figure 8. 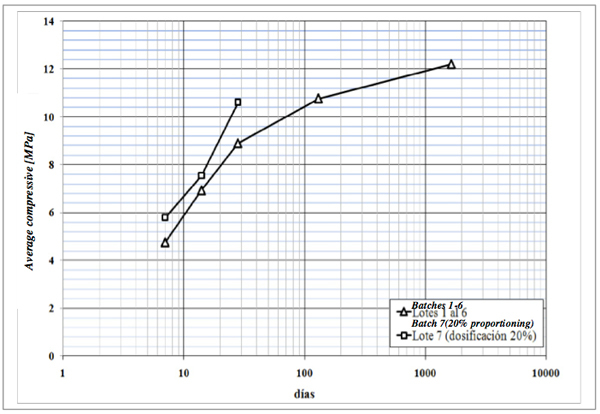 Figure 8. a) Pavement without a block; b) Replacement with a new block marked with "X"
Table 2 shows the results obtained in the compressive strength tests for batches 1 to 4 at 7, 14 and 28 days, for batch 5 at 130 days (when they were laid down in the path) and for batch 6 at 1640 days following molding (blocks removed from the pavement). This Table also presents the results of the water absorption test and the durability test by wetting and drying, for the different batches. For comparison purposes, Table 2 also shows the results for batch 7, which refer to the values previously obtained in the blocks with 20% cement proportioning; this proportioning presented higher compressive strength and less water absorption and less mass loss (Tarqui et al., 2012), and it should be kept in mind that the mixing and homogenization process was totally manual, that is, without using a mixer. The results of Table 2 concerning the variation of compressive strength for blocks of different ages are shown in Figure 9, where it is possible to observe increased strength as blocks grow older. Batch 7 (20% proportioning) presented higher compressive strength values (5.8; 7.55; 10.61 MPa at 7, 14 and 28 days, respectively) than the average values obtained for batches 1 to 4 (4.8; 7.1; 8.9 MPa at 7, 14 and 28 days, respectively). This difference is probably due to the fact that more water (3% or more) was used in the molding for the batches that were homogenized in the drum mixer, in order to make the necessary blocks to build the path (approx. 2000 blocks). As mentioned earlier, the homogenization in the mixer took longer and the mass tended to dry. The removed blocks (batch 6), aged approx. 1640 (4.5 years), presented compressive strength of 12.2 MPa, thereby showing that there was no strength reduction when blocks were exposed to environmental conditions (rain, sun, and small pedestrian flow); on the contrary, it slightly increased. Regarding the water absorption, all batches comply with the Brazilian standard NBR 8491 (Solid Soil-cement Brick), which requires that the water absorption average should not exceed 20% and individual absorption should be less than 22%. Data of Table 2 confirm that there was no significant variation in relation to the water percentage absorbed by the blocks as time went by, presenting in general a 15% water absorption rate. With regard to the mass loss, the blocks used in batch 7 (20% proportioning) presented lower values when compared to the other batches, except for batch 6 (removed blocks), which had a mass loss around 0.03% and -0.87% (for no. 2 and no. 3, respectively); no. 2 did not present any mass loss, while no. 3 absorbed a small amount of water, due to the "mold" (organic matter) in the surface due to the action of weathering conditions over time. Results indicate that blocks molded with higher contents of water and in the mixer (batches 1 to 6) presented, in general, less compressive strength than those molded manually (batch 7). Probably, the water-cement ratio and the reactions resulting thereof is the cause of this strength variation. The use of blocks in the pavement and the influence of environmental conditions did not reduce the strength nor increase the water absorption and mass loss. The simple compressive strength increased with the molding age, oscillating from 9 MPa (at 28-day molding) to 11 MPa (at 130-day molding) and 12 MPA (blocks removed from the pavement at 1650-day molding). It can be noted that the removed blocks showed a slight strength increase (less than 10%) in relation to the blocks at 130-day molding, which can be due to the reactions that are still taking place between cement, soil and water or to the variability in raw materials and the equipment used. Thus, it is possible to confirm that blocks presented an adequate behavior when subjected to light pedestrian traffic and weathering conditions. The authors wish to express their gratitude for the scientific start-up scholarship granted by the following development agencies: Fundação de Amparo de Pesquisa da Bahia (FAPESB) and the Conselho Nacional de Pesquisa (CNPq). As well as the support of the Financiadora de Estudos e Projetos (FINEP) to carry out the research. Cancian M. A. (2013), Influência do teor de umidade, porosidade e do tempo de aplicação na mistura solo cimento para pavimento rodoviário de um solo da bacia do Paraná. Disertación de mestria. Universidae Federal de Londrina: Londrina. Disponíble en: http://www.uel.br/pos/enges/portal/pages/arquivos/dissertacao/85.pdf. [Accesado el 24 de novembro de 2014] [ Links ]. Marchioni M. y Silva C. O. (2010), Pavimento Intertravado Permeável - Melhores Práticas. Cartilha. São Paulo, Associação Brasileira de Cimento Portland (ABCP).Disponible en: http://ninamartinelli.com.br/downloads/cartilha_pav_intertravado_permeavel.pdf. [Accesado en: 24 de noviembre de 2014] [ Links ]. Penteado P. T. y Marinho. R. C. (2012), Custos de construção solos cimento vs convencional. Trabajo de Conclusión de Pregrado. Curitiba: Universidade Tecnológica Federal do Paraná. Disponible en: http://repositorio.roca.utfpr.edu.br/jspui/bitstream/1/375/1/CT_EPC_2011_2_22.PDF. [Accesado en 10 noviembre 2014] [ Links ]. Revista Tèchne (2004), Alvenaria de solo cimento. Revista Tèchne, Edição 85, mês de Abril. Disponible en: http://techne.pini.com.br/engenharia-civil/85/artigo286284-1.aspx [Accesado en 24 de noviembre de 2014] [ Links ]. Silva F. S. y Castro A. P. S. (2009), 26 de noviembre. Incentivo ao uso de produtos de baixo impacto ambiental através da disciplina de materiais de construção civil, ponencia. Congresso Brasileiro de Educação em Engenharia. Recife: ABENGE. Disponible en: www.abenge.org.br/CobengeAnteriores/2009/artigos/579.doc[Accesado en 24 de noviembre de 2014] [ Links ].